Making Disney World dining reservations well ahead of a trip is one of the most useful pieces of advice I received for my first trip to Disney World. I understand that it can be hard to imagine planning dinner 180 days in advance. However, doing so will help you score hard to get Disney World dining reservations. Here is our family tested advice on planning your Disney World advanced dining reservations and tips to making hard to get reservations. I’m going to break this into two sections. One for people who like to spend time planning and those who prefer to wing it. I know this will seem like I just lied since I named it “non-planner people”, but I want you to plan. Just not a lot. We’ve all seen the families that are bickering and mad at one another because everyone is tired and hungry. You do not want to be that family. I suggest scheduling one table service meal for each full day you have in the parks. 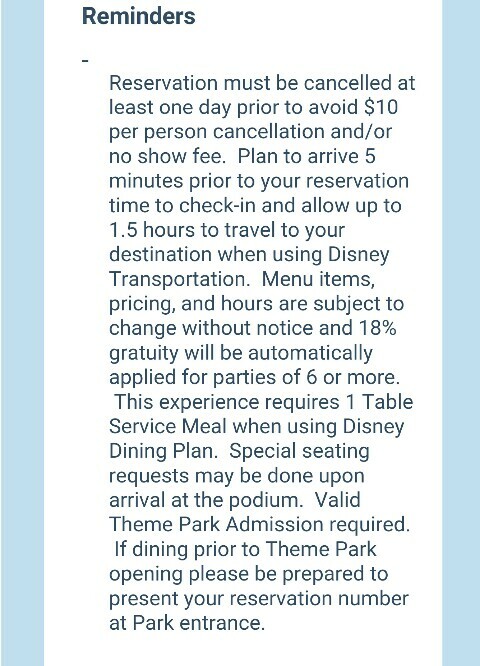 The closer it is to your trip the less options you will have for Disney World dining reservations. Please note: At busier times I have seen the least popular table service restaurants refuse to let you wait for a table without an Advance Dining Reservation (ADR). Write down your ADR confirmation number and keep it until you get your email. I’ve had, on occasion, a stray reservation email not arrive. If you have your confirmation number you are fine. I also suggest you bring a copy of these with you to the park in case there is trouble finding your reservation using your name. Sit back, relax and enjoy your meal! Watching other families meltdown is optional. Okay, Planners This Is Your Time To Shine! 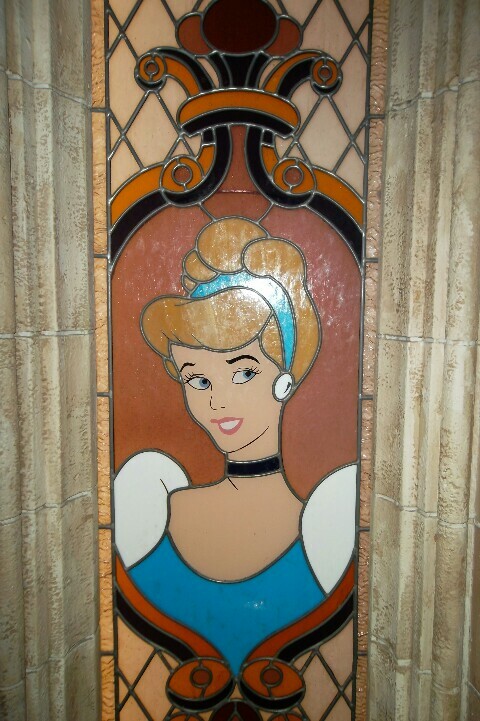 If you want some of the most coveted Advance Dining Reservations (ADRs) such as Cinderella’s Royal Table or Be Our Guest at Magic Kingdom, I recommend that you book those ADRs 180 days prior to your trip. This 180-day mark is the earliest that ADRs can be booked and increases the chance you will get the desired reservation. Please note there is no guarantee of reservation. Disney World dining reservations via website and the Walt Disney World mobile app open for the day at 6:00 am Eastern time. Since I live in the Central time zone I set an alarm for 4:40 am to make sure my computer is up and running by go time (yes, I am that crazy). Dining reservations (and reservations for Bibbidi Bobbidi Boutique in Magic Kingdom or Disney Springs) made by phone (407) 939-3463 go live at 7:00 am Eastern. If you are staying on-property at a Disney World resort, at that 180-day mark you can make the ADRs for that day as well as all of the days of your trip (up to 10 days total). What this means is you are at an advantage over those who are not staying on property. They will need to call back (or book online) each day for the duration of the planned trip. For example, if you are staying 5 days, you may have a better chance of getting the reservation you want closer to the end of your trip since others staying off-property aren’t eligible to book yet. I didn’t get the Disney World reservation I really wanted – now what?! Don’t panic. Go ahead and book your second-choice ADR for that day so you don’t turn into the stressed out yelling parent/crying child(ren) family when you are figuring out your second or third quick service meal of the day. Although you are less likely to get the reservation, all is not lost. From that day on I check the app or website periodically to see if a reservation is available. About 7-10 days prior to your trip, use the mobile app or website to check more frequently if any of those desired reservations have become available. I keep checking while in the parks ,too, because last minute cancellations do occur. Please note: If you subscribe to Touring Plans they have a reservation finder program that automatically checks availability. On a previous trip to Disney World I booked the hotel 13 months and ADRs 180-days ahead. We have great friends that decided to join us for a portion of the trip about two-and-a-half months before we left. I knew finding ADRs to popular restaurants would be challenging, but through good luck I did manage to snag them a dinner at Be Our Guest. We were also able to easily modify our lunch reservation to accommodate 6 people at Coral Reef by picking a slightly later lunchtime. I was desperate to go to ‘Ohana since I had heard such great things. Our original reservation was for three people, but I needed six. I could not find this elusive reservation no matter how many times I checked. Eventually I got another ADR of three people 15 minutes apart from original one. I then called Disney Dining to see if the reservations could be combined. They could not combine the reservations, but suggested we arrive early to ‘Ohana and ask the front desk to be seated together (knowing that we might have to eat separately). We had good fortune and after a little longer than usual wait we were all seated together! Cancellation policy varies by restaurant. Make sure you read the exact policy that comes in your email reservation confirmation. In general, there is a $10 per person late cancellation or no-show fee if you cancel less than one day prior. Dining packages that include an event (such as a Fantasmic! dining package) require a two day notice. 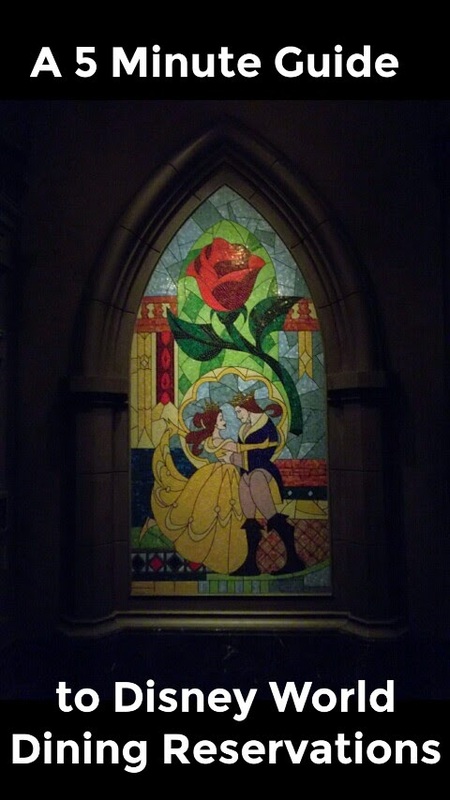 For Cinderella’s Royal Table you pre-pay the meal at time of booking. If you do not cancel within the cancellation window or no-show you will forfeit the full price you paid. 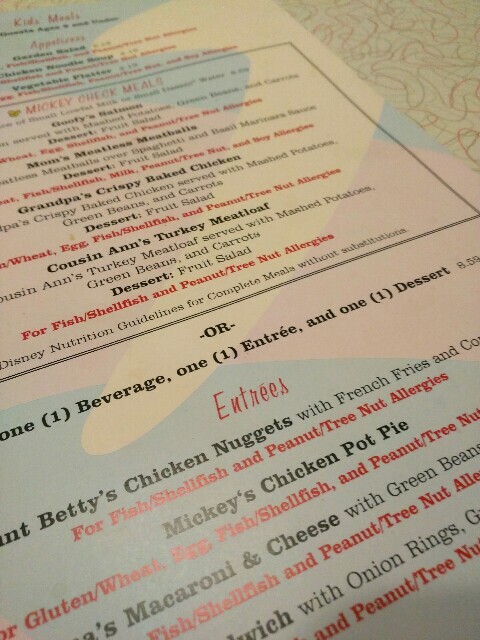 Planning your Disney World dining reservations 180 days in advance may seem strange, but I promise having a sit-down meal will feel like heaven after a busy day. Now that you know how to make your reservation find out more about where to eat with my guide to Disney World character meals or our favorite restaurants for adventurous eaters!